The other island that composes the eastern group of Azores, Santa Maria is also known as The Sunny Island, the Sunny Island, or the Island of the Sun. As with the rest of the islands in the Azores, there are so many sights to take in in beautiful Santa Maria. The island has its own airport, the Santa Maria Airport. SATA International services direct flights to and from Santa Maria. From the Santa Maria Airport, there are car rentals from EuropCar and Avis rental cars available so you can easily explore the island. The marina in Villa do Porto is also another way to reach the islands all-year round. When tourism picks up during the summer, an inter-island ferry also comes to the island every week. When you’re in Santa Maria, Azores, if you have a car hire in Santa Maria, Azores you can do anything under the sun! Unlike other islands of Azores, Santa Maria has a relatively drier and warmer climate. This is attributed to its location, which is situated farther to the south. A dip in the golden sand beaches, a view of the fields of greenery, the majestic artistry of the age-old churches, the picturesque houses with its unique chimneys, the celebration of religious festivities, a taste of the finest local cuisine, you can do all these in Santa Maria! In the paradise that is Santa Maria, one of its foremost attractions is the yellow sand beaches. A visit in Santa Maria requires the customary dip in its world class beaches, Praia Formosa, which is the most famous. With its stretch of golden sand, every imaginable activity is possible. You can bask in the glorious rays of the sun, but there are also other water activities that you can try like water skiing, surfing, sailing, wind surfing, and even paragliding. 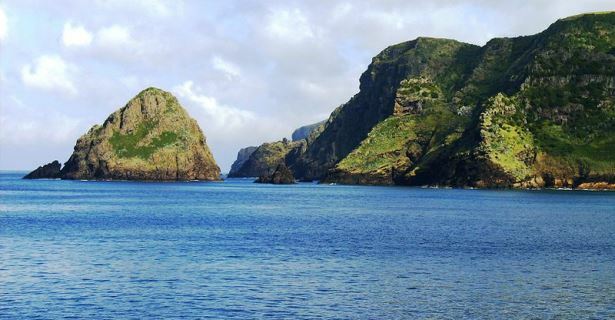 The magnificent Maia and S. Lourenco Bays are also a must see in Santa Maria. Featuring cliff side vineyards, these bays are just two of the majestic bays in the island. Natural and manmade caves are also abundant on this part of the Azores archipelago. The best caves to visit while in Santa Maria include Furna Velha and Furna de Santana. Santa Maria is a fishing heaven! There are several organized fishing and spear fishing activities lined up for the men tourist population. The shoreline of Santa Maria is teeming with a myriad of fish species including tuna, grouper, mackerel, swordfish and more. For the more adventurous, big game fishing excursions are also scheduled. History buffs will also enjoy staying in Santa Maria with its rich history and culture depicted best by old-world towns, majestic churches and colorful religious traditions. The foremost place to visit on a history buff’s list is Anjos, where Christopher Columbus made his first stop upon his return from the Americas. Then there’s Santo Espirito, a picturesque village that screams old-world charm with its charming parish church and its wide expanse of verdant pastures. Religious is a vital part in the local tradition of Santa Maria. The highlight of this town’s religious feasts is the celebration in honor of Senhor Santo Cristo dos Milagres. Another celebration in Santa Maria, albeit not religious in nature, but also draws in a crowd is the August Tide Festival, a celebration of world music. When you visit a new place, it is a must to taste their native cuisine. In Santa Maria, you will indeed receive one of the richest gastronomic history lessons you’re going to get. From specialties like Bolo de Panela, Sopa de Nabos, Molho de Figado, Sopa de Peixe, to sweet treats like Biscoitos de Orelha, Tigeladas, Suspiros, and Cavacas, experience an explosion of flavors! Since Azores is an archipelago composed of several islands, transportation is readily available if you want to go island hopping. Car rental in Santa Maria makes getting around very easy. Inter-island ferries and flights operate regularly, so when in Santa Maria, get the best vacation experience ever!